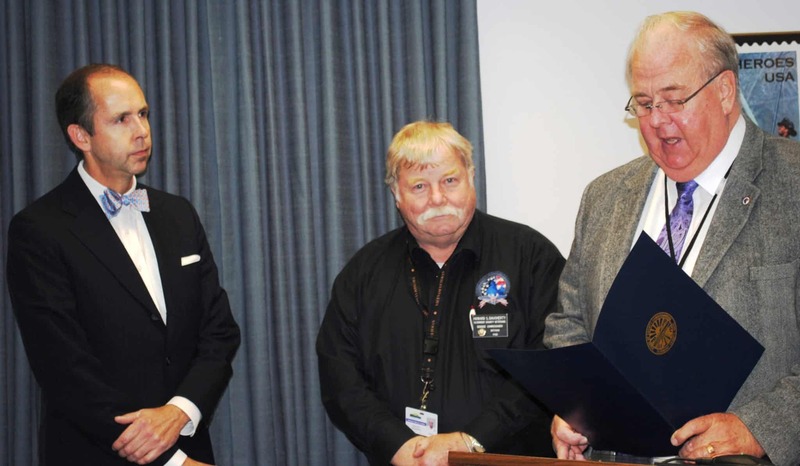 Batavia, OH, November 20, 2013 – During session today, The Board of Clermont County Commissioners declared the week of December 1 through December 7, 2013, as Pearl Harbor Remembrance Week and declared December 7 as Pearl Harbor Remembrance Day in Clermont County. On December 7th, 1941 bombers appeared above the skies of southern Oahu, and without warning commenced to attack the United States Pacific Fleet at Pearl Harbor. “Today, we remember with grateful hearts those who fought and those who died on that terrible Sunday morning… we owe a huge debt of gratitude to the brave men and women who defended our nation on that day in 1941,” stated Commissioner Humphrey, President of the Board. A memorial event will be held on Sunday, December 1, at 2:00 p.m., in the New Richmond Market Street School located at 212 Market Street. Mr. Joe Whitt, the last remaining Pearl Harbor survivor from Clermont County, will be present to share his story and talk with the public. There will be ceremonial activities and speakers, the event is open to the public and all are welcome to attend. Howard Daugherty, Executive Director of the Clermont Veterans’ Service Commission, was present today to accept the award and urged all citizens to attend the event to show support. “We invite everyone to come shake Mr. Whitt’s hand, hear his story and thank him for his service,” said Daugherty. Whitt will also be the Grand Marshal for both the Bethel Christmas Parade on December 6, at 4pm and at the Amelia Christmas Parade at 1pm. Commissioner Humphrey ended the proclamation presentation by inviting “All citizens to join us in tribute to those who defended our nation on that fateful morning.” In conjunction with the declaration issued by Governor Kasich, all flags on government buildings in Clermont County will be flown at half-staff from sunrise to sunset in honor of Pearl Harbor Remembrance Day.